Valentine's Day favourite by Kirsty from Fashion For Lunch! We've asked our friend Kirsty from the super cool blog Fashion For Lunch her Valentine's day favourite to give us a few inspiration, here they are! What’s your dream Valentine’s day treat? I'm a low key kinda girl, so I'm always happy with something casual like falafel takeaway and Clueless on TV. However, if a man was to go all out, I wouldn't mind being whisked away for a weekend in Miami to see palm trees, pink skies and a stroll along South Beach! What’s on your Valentine’s day whishlist? 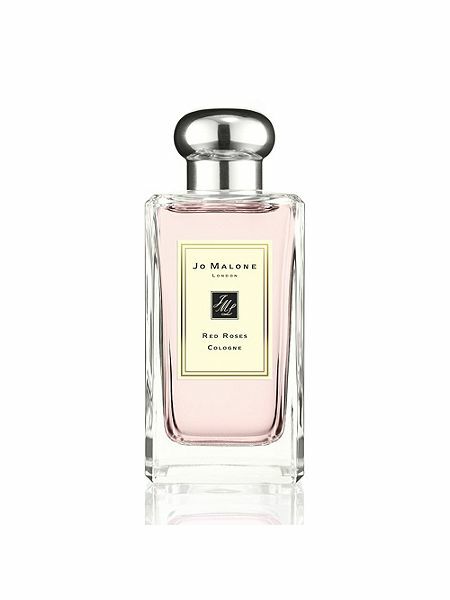 I am always partial to a new bottle of perfume, perhaps Jo Malone London Red Roses because it's one of my favourites and also perfect for the occasion. I would also love a Cartier Love Bangle, I have the ring, but I have always wanted the bracelet to go with it. Finally, it would be pretty special to get tickets so that we could enjoy doing something together, maybe for a ballet at the Royal Opera House in London! That would be rather lovely! What is your favourite Rom-Com? Does Clueless count?! that's one of my all time favourites, or Pretty in Pink, that has romance in it, although she does end up with the wrong guy, I'm #TeamDuckie any day of the week! What is on your Valentine’s day playlist? I'm listening to a lot of Elton John right now, I guess the most 'valentines-y' song by him is 'Your Song' but Ellie Goulding kind of slaughtered that one, so maybe 'Don't let the sun go down on me', not so romantic, but it is a gooden. I would also have to go for The Ronettes, 'be my baby' and Lana Del Rey's 'National Anthem' and Suede 'Still Life', just because! There are some songs I never get bored of!